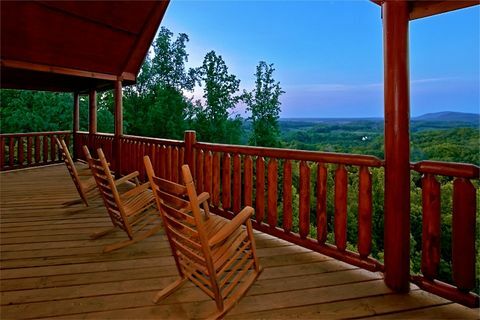 "Great Aspirations," a Hidden Springs Resort cabin, offers a truly breathtaking view. 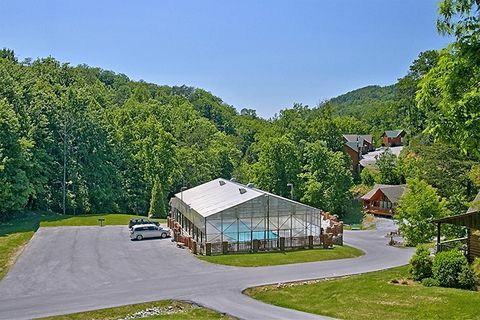 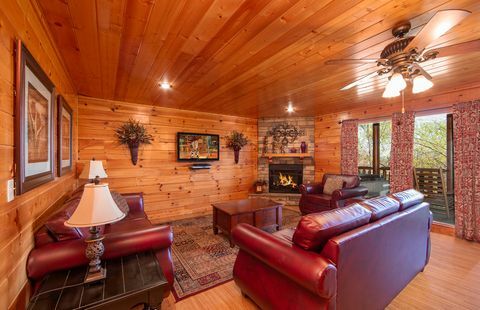 This cabin in Pigeon Forge provides the perfect location to host a family reunion, church retreat, or gathering for a sporting event! 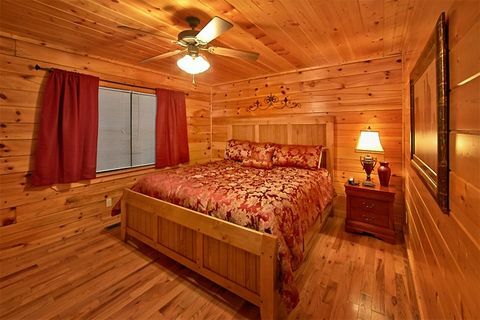 Newly decorated, this cabin rental near Dollywood now has brand-new king-sized mattresses in all of its bedrooms, with more changes are soon to come! 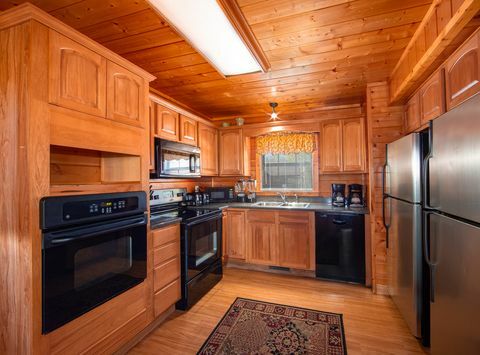 This cabin rental sleeps up to 20 guests and comes packed with everything needed to host large groups, including its fully equipped kitchen, which contains 2 refrigerators, 2 stoves, and 2 large dining tables and leaves no need for expensive dinners out in town. 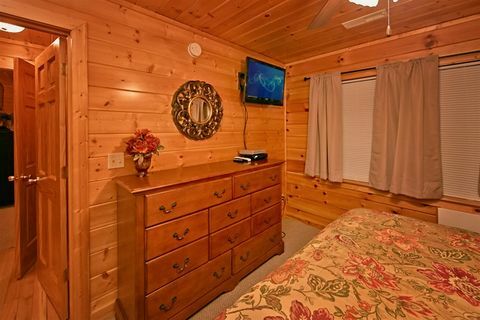 This cabin even offers two washer and dryers, one located on the main level and one located on the top level. 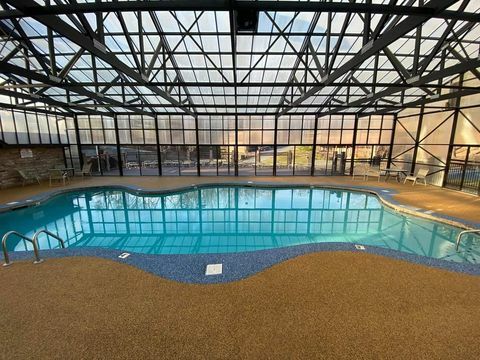 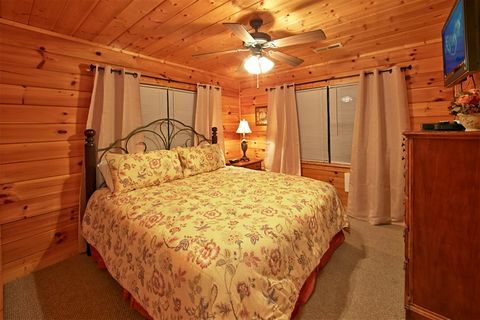 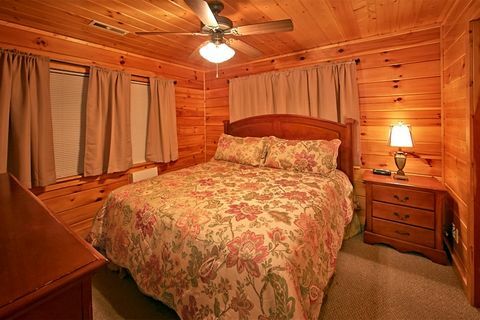 This Hidden Springs Resort cabin affords guests even more luxurious accommodations! 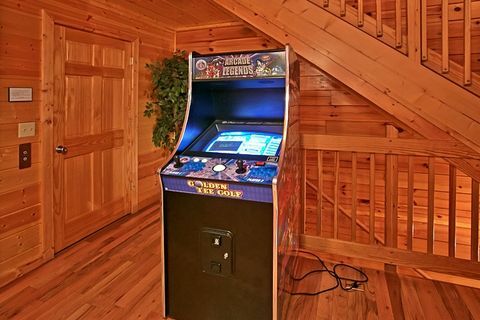 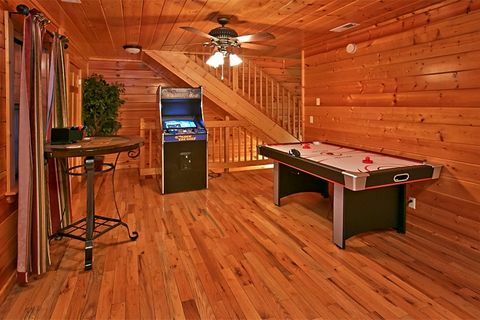 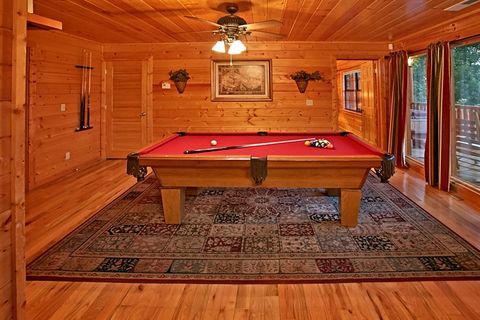 The cabin's second-floor game room offers plenty of entertainment options: a full-size pool table, air hockey table, dartboard, and, for those looking for a bit of nostalgia, a 124 in 1 arcade game. 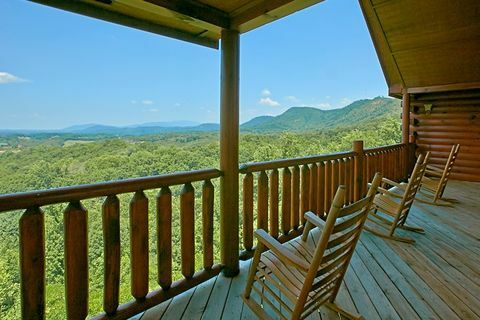 Tired from your hike in the Smokies or have elderly family members who have trouble making it up stairs? 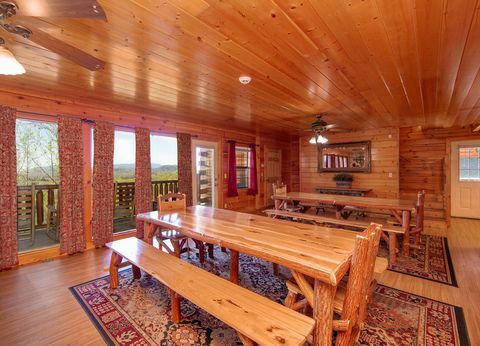 This massive cabin has its very own elevator! 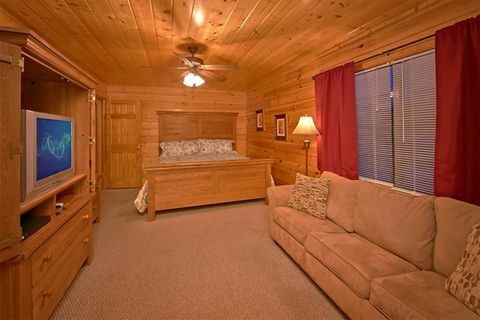 Two of this cabin's king bedrooms contain a private seating area. 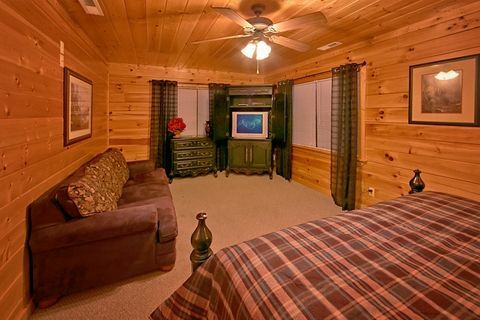 Enjoy sporting events in the main level's living room with its 55" HD television, Bose surround sound system, and Blu-Ray DVD player. 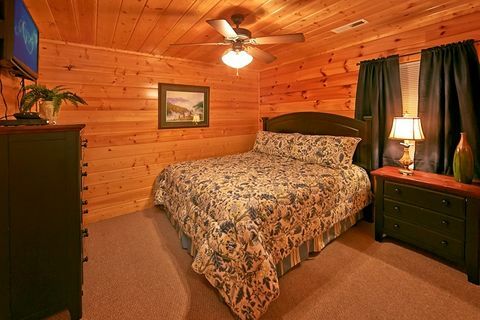 Post all your family's vacation photos on social media sites with cabin’s free WiFi! 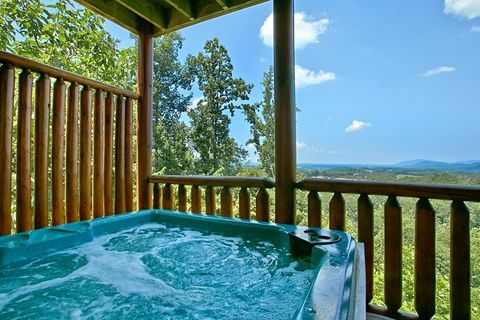 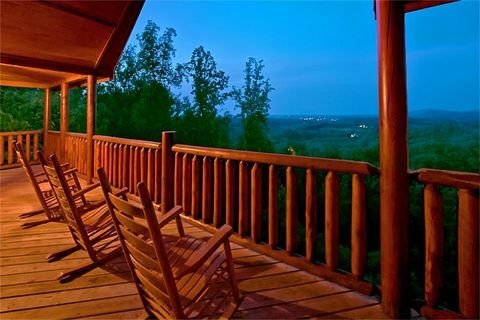 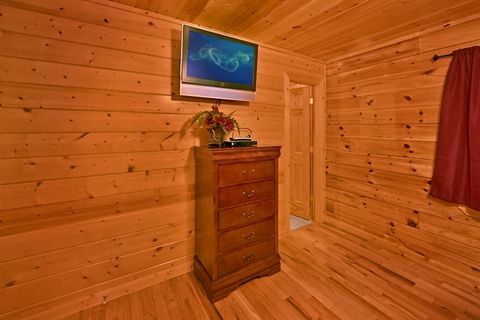 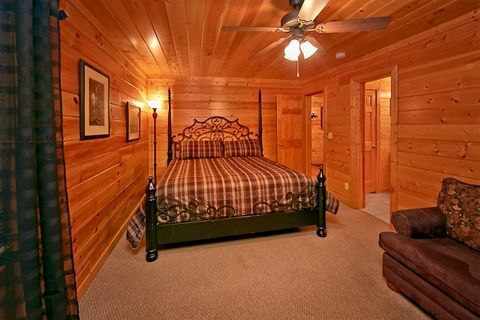 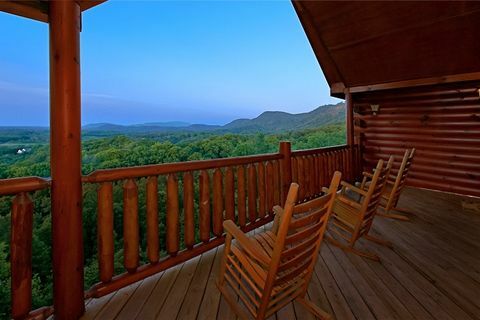 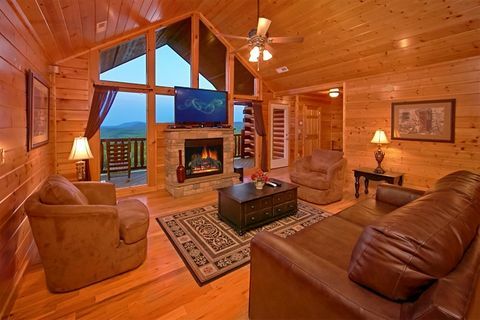 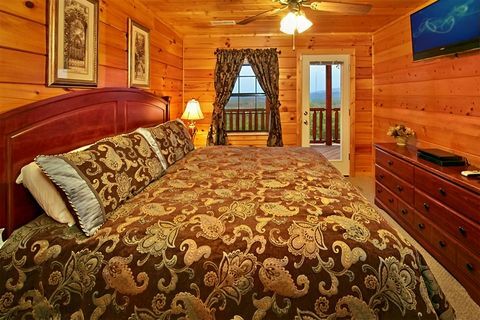 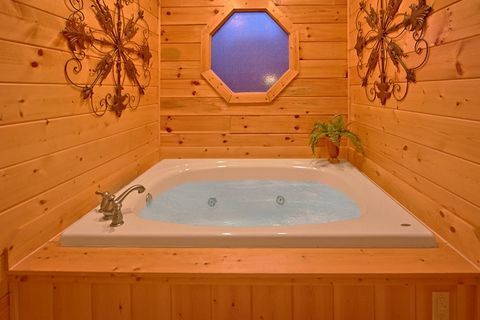 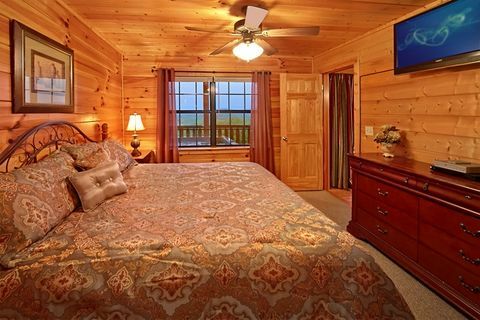 If your main concern is a breathtaking view, this cabin in Pigeon Forge is the first step in planning a group trip to the Smokies to remember. 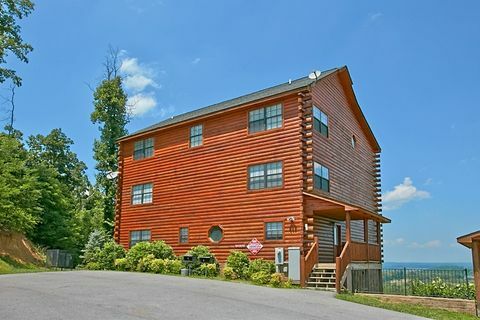 Book "Great Aspirations," an enormous cabin rental near Dollywood, online to receive your Online Discount!